easy to use Online Web Site builder. Check our video tutorials or try site builder for free to find how easily you can create a site by using our web site builder. For our customers we offer professional and easy-to-use web site builder, web hosting service and domain name registration. your own professional quality website! Unlimited disk space and number of pages on your web site. Free Domain Name registration (.com, .net, .us etc.). View your changes online immediately. Risk-free with 30 Day Money Back Guarantee! We offer 24/7 support via emails, help desk and online chat. Contact us if you have any questions. We offer daily backup of user's data so you will not lost your site. Easy-to-Build Site Builder stands out as most convenient and comprehensive website builder. 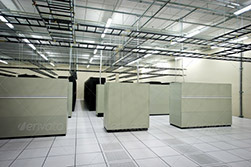 We use only enterprise-class servers in professional US data center. We will refund your hosting fees at anytime during the first 30 days, no questions asked. Only enterprise-class servers in professional US data center. Daily backup of user's data. You don't need any special knowledges. Large amount professional-quality templates,headers, color schemes. Equipped with topics that were tailored for businesses and organizations of at least 75 types. Slick consolidation with different social and ecommerce services by involving drag-and-drop modules.